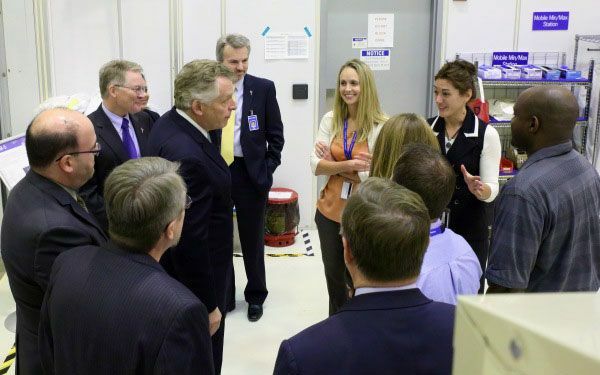 December 8, 2015 - Virginia Governor Terry McAuliffe visited the Dulles Campus where he conducted a town hall meeting with employees and toured the campus with senior management. 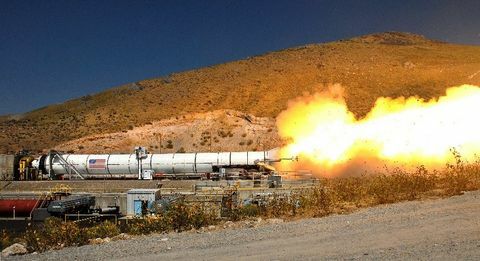 During the town hall, the Governor discussed economic development, transportation, education, housing and his administration’s continuing support for Orbital ATK's activities at its Wallops Island, Virginia launch site. 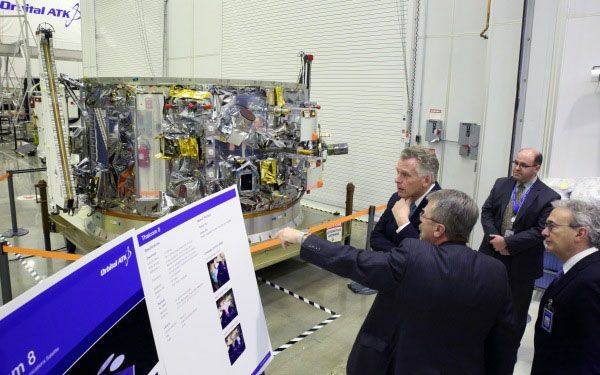 After the town hall meeting where he answered employee questions, Governor McAuliffe toured the satellite manufacturing facility where several spacecraft are currently in production. 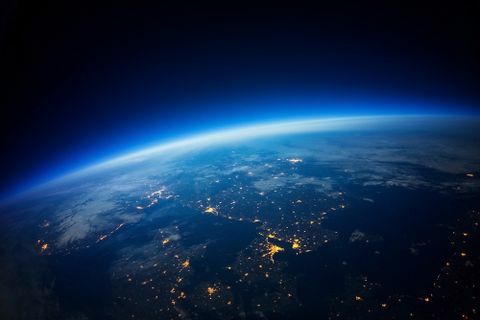 He also visited the Cygnus Mission Operations Center where controllers were monitoring the Cygnus spacecraft that is carrying supplies bound for the International Space Station. 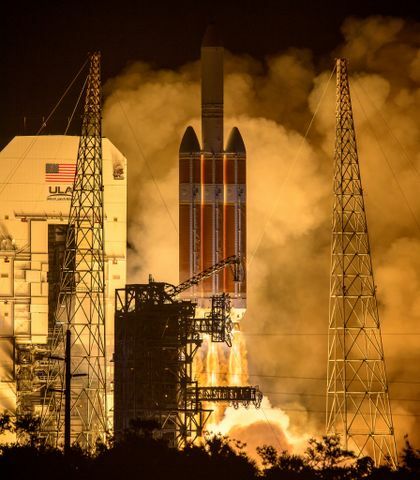 Cygnus is scheduled to rendezvous and berth with the space station on Wednesday, December 9, 2015. Governor McAuliffe answers employee questions at a well-attended town hall meeting. 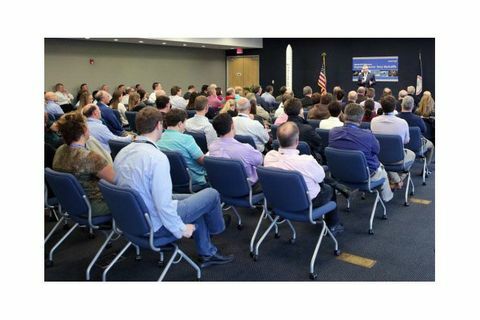 Governor McAuliffe meets members of the Cygnus team. 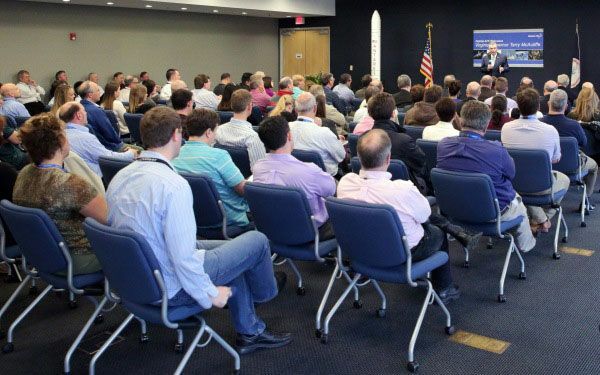 Orbital ATK's Ray Crough briefs the Governor on Cygnus and GEO Communications satellite manufacturing. 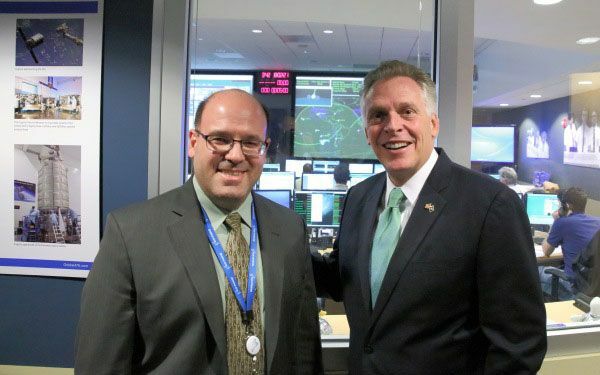 Governor McAuliffe with Cygnus Program Manager Frank DeMauro at Orbital ATK's Mission Control Center.